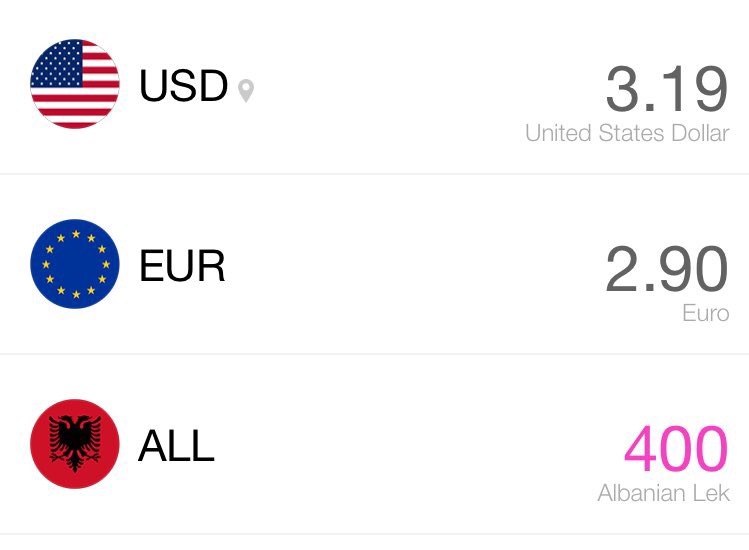 who knew data could be so cheap?! when you arrive at Tirana International Airport (named after perhaps the most famous Albanian, Mother Teresa, btw) and exit from baggage claim, you’ll see two stores, a Vodafone and an Eagle/ALBtelecom. from what i could tell prices are similar but i went over to the Eagle store because there was no wait. registration was pretty easy — no forms, just hand over your passport and sign a piece of paper. unfortunately, you do have to wait about 25-30 minutes for the card to activate (which the guy warned me about). i don’t trust automatic activation so i kept turning my phone on and off every 5 minutes or so until it did activate. because he only loaded up my card with the exact amount to activate the plan, he told me to turn off cellular data until i got a text message saying that the data plan was active. you will get a series of text messages once the card is active, then confirming that you have the value topped up correctly. 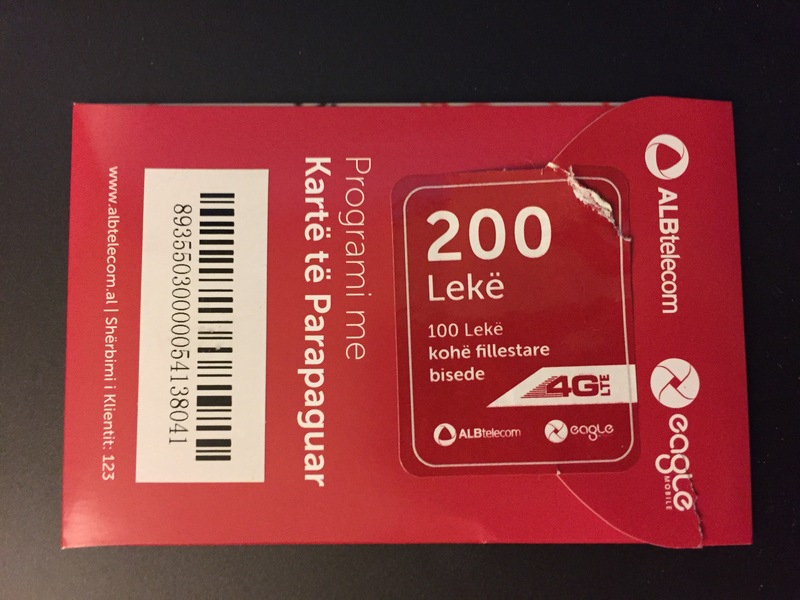 finally, you also may need to send off a text message to activate the data plan — send 400 to 138 to activate the 400 lek (2 GB) plan; more options are there on the wiki page. luckily i was waiting at the airport for my Airbnb host to come pick me up, so i was able to verify with the rep that everything was OK (i wanted to make sure it activated correctly so showed him the text messages i had received — it was then that he told me i needed to send off the text message to 138). he also set up the APN for me — it’s host “internet” with no username or password. as with almost all young people in Tirana, he spoke excellent English. 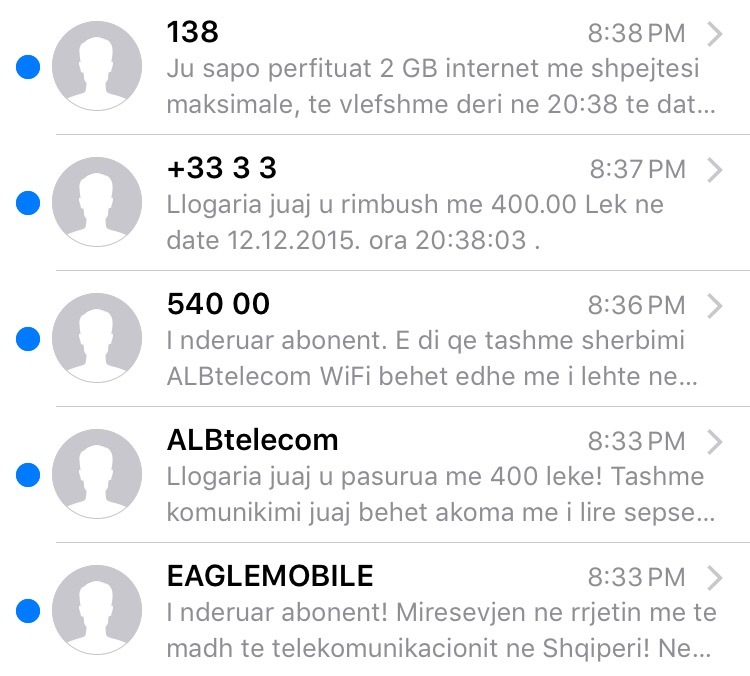 in Tirana i mostly got LTE service with fairly decent speeds. 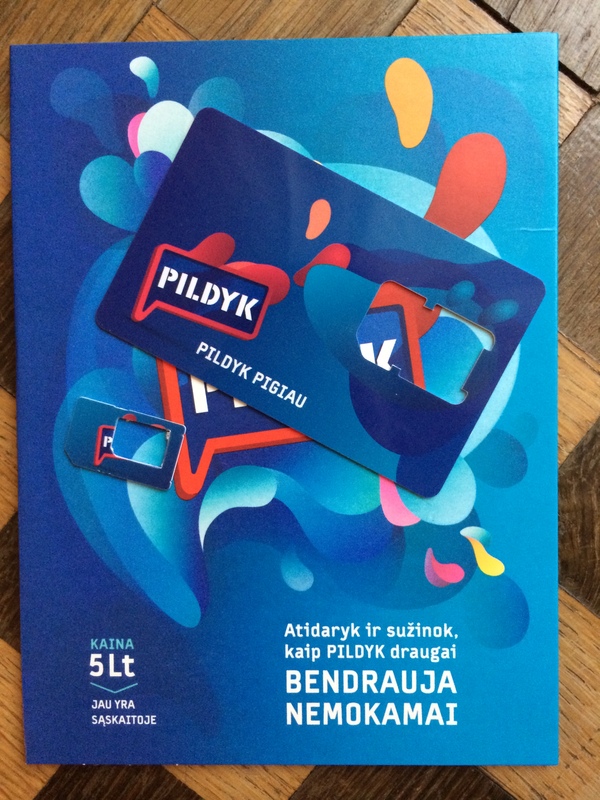 i rented a car (an adventure!) and drove down to Berat and there was coverage for all of the drive as well as good 3G coverage in Berat, including at the top of the hill where the castle is. 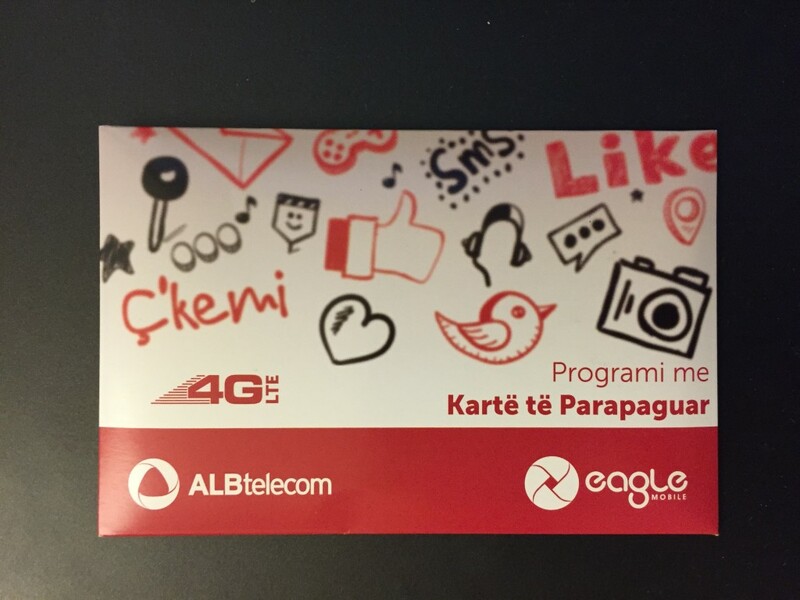 1 Comment on "Local SIM: Albania Edition"
Yesterday Vodafone had some 4G promotion at Tirana airport baggage claim hall stand. 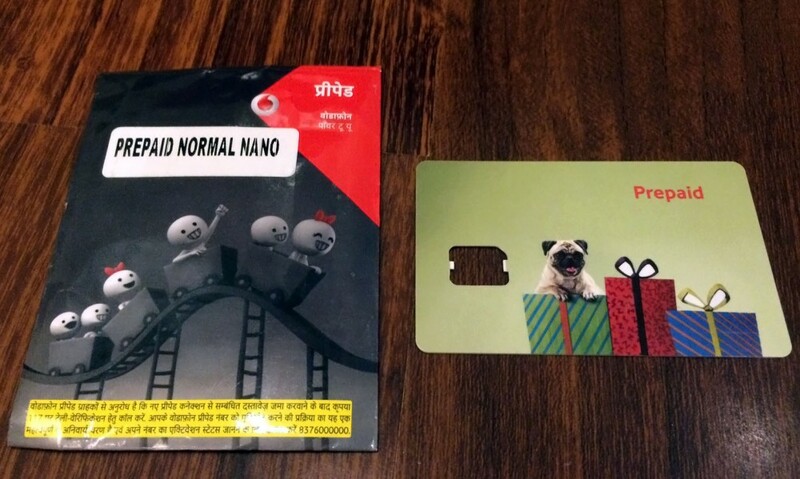 Got prepaid card limited to local calls only with 5GB data package free of charge.